Are you having problems with your plumbing in your Burleson home? Look no further than Lightfoot for a fast, affordable fix. No matter your problem, our professional, skilled plumbers are ready to tackle the task of getting your home or business working again. When you call Lightfoot, you can rest assured that our plumbers have the knowledge and training to handle whatever you’re dealing with. Whether you have a clogged toilet, a slow shower drain, or need plumbing designed for an addition to your home, we are standing by and ready to help you out. We have solved plumbing problems of all sorts and sizes, and we can solve yours, too. Having a plumbing emergency? Give us a call. Our plumbers are available around the clock, any day of the week, because we know that plumbing emergencies need to be fixed fast. Nothing ever goes wrong when you have extra time on your hands to deal with it, so we’ll come out as soon as possible, figure out what has gone wrong, and get it all back to normal so you can get on with your life. If your repair involves choices that you need to make, we’ll help you figure out what will work best for you and your family. We’ll give you your options, answer all of your questions, then give you time to choose the solution that’s right for you. We’ll let you know what we recommend, but we will honor your choice even if it is different from ours. Once you’ve chosen, we’ll get the work done efficiently and well. 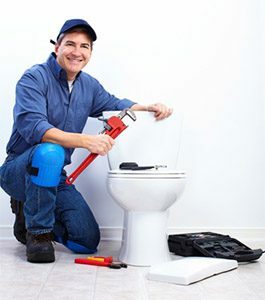 In addition to plumbing repairs, we offer a host of plumbing services. Looking to remodel a bathroom or upgrade your toilet, tub, shower, or sink? Give us a call and we’ll help you out. We work with many different highly recognized brands, so we can help you choose the pieces that will fulfill your needs and desires, and also fit into your budget. Whether you want a lavish bathroom suite or a simple half-bath in your basement, we can help you get the most for your money. We know that it’s easy to worry when something goes wrong with your plumbing and you can’t fix it yourself. After all, there’s no way for you to know what is wrong, how long it will take to fix, or how much the repair will cost you. When you call Lightfoot, you can let those worries slide away. We will work with you every step of the way, and do our very best to figure out what went wrong, explain what needs to happen to fix it, and tell you what the repair will cost and when it will be completed. Our plumbers do work in both homes and businesses, so you can trust Lightfoot for all of your plumbing needs. We will do everything we can to show you how much we value you as a customer. We know you could go many places with your plumbing needs, and we know what it means when you choose to trust us with your Burleson home or business.